Well Happy March! I can’t believe February is already over. Usually the winter months just drag on and on, but this year they have flown by. I’m sure it’s partly because the weather was crazy warm for Utah. My kids were playing outside without jackets in the middle of January! Of course now that all the trees have blossomed and the flowers are popping up, it is snowing outside. Such is the life in Utah. 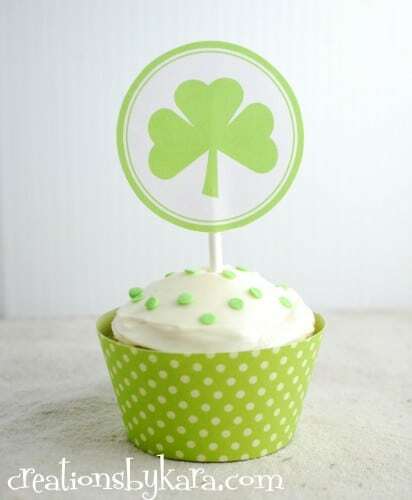 St. Patrick’s Day is just around the corner, and I have a couple of fun treats to share with you. First up are these darling little cookie cups. You can use your favorite sugar cookie recipe for the base, or even store bought dough. 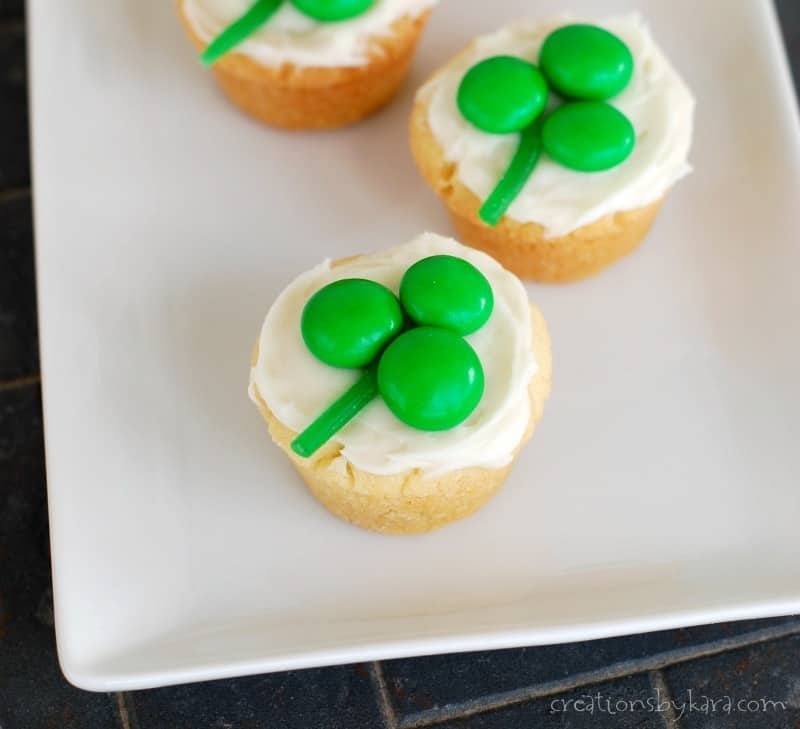 The fun part is using the licorice strips and M&M’s to make the little shamrocks on top. My kids had fun helping me decorate the tops, and of course they loved eating them! Everyone loves sugar cookies, and baking them in mini muffin pans is such a fun way to serve them. 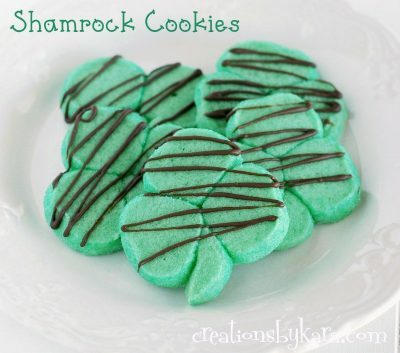 They are sure to be a hit for St. Patrick’s Day at your house! 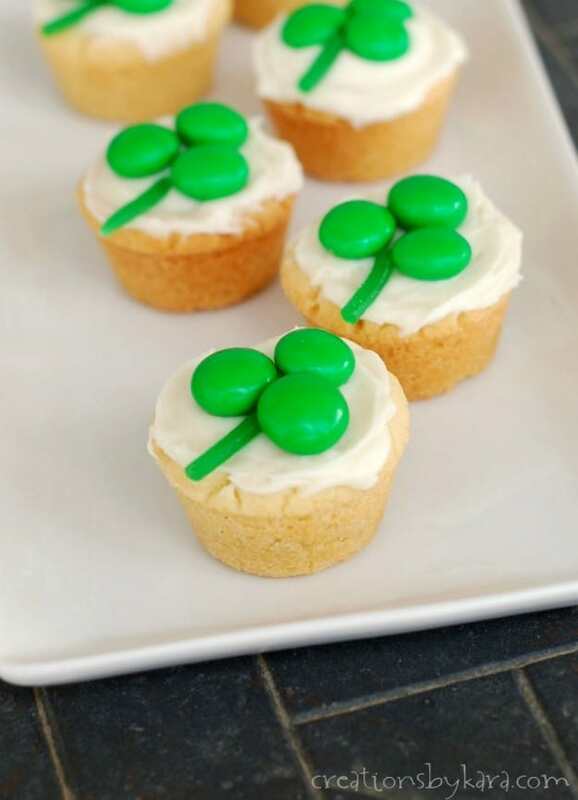 Delicious cookie cups topped with buttercream frosting and candy shamrocks. For cookie cups: Cream butter and sugar. Add eggs and flavorings and beat well. Stir in flour, baking powder, and salt. Roll in balls and place in well greased mini muffin pans. Bake at 375° for about 8-10 minutes. Let cool for a few minutes, then remove from pans to cooling racks. Cool completely. Frost with buttercream frosting. For frosting: Beat butter, powdered sugar, extracts, salt, and sour cream till smooth. Add milk as needed to make a spreadable consistency. To decorate: To make the stems, pull apart the licorice and cut into pieces about 1/2″ long. Top each cookie cup with three M&M’s and a licorice piece for the stem. That’s it! To see all my St. Patrick’s Day recipes, click HERE. Some people even say we have the best iPhone cases. 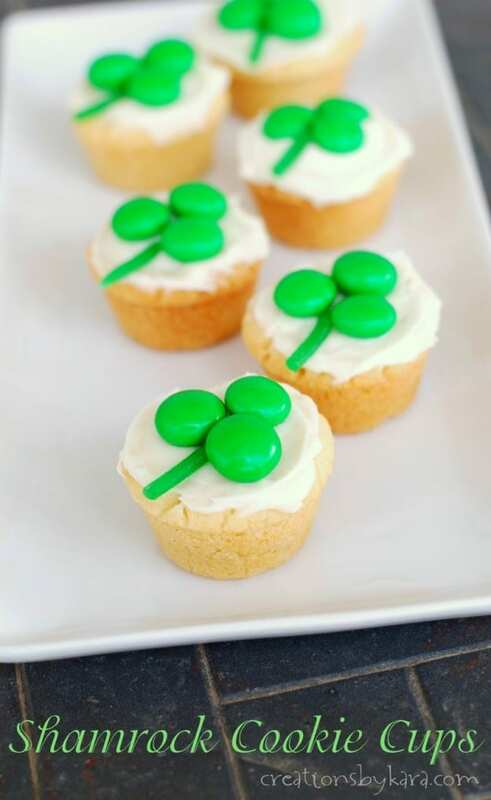 I love cookie cups, and these were so cute for St. Patrick’s Day! Superb idea. Perfect for St. Patrick’s Day. Thanks for sharing! I made these for a family get together and everyone loved them. So fun! 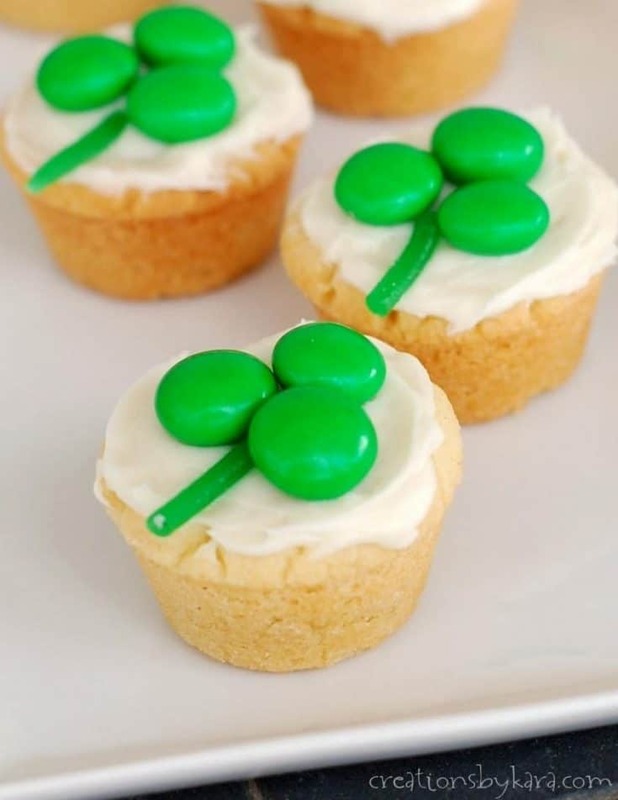 these are super cute…perfect little treat for St. Patrick’s Day! I LOVE these cookie cups! 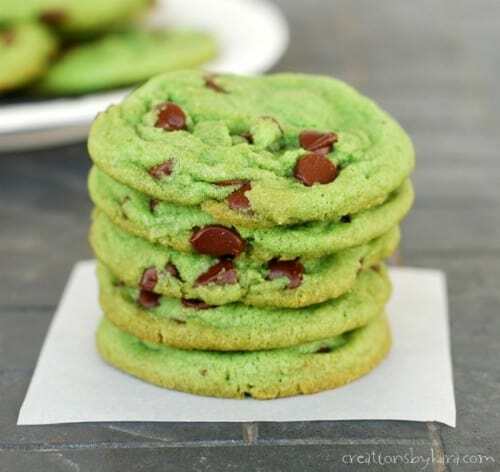 The cookie itself sounds amazing and I love how easy they are to decorate. My niece would even be able to help decorate! 🙂 Pinning, Stumbling, and Yumming! These are just darling!! My kids would have fun decorating these too!! OH no about the snow! I hope it doesn’t kill all your pretty flowers! From what I can tell, the flowers survived. 🙂 Now I’m just hoping we don’t get another deep freeze!